Digital wellbeing was the initial step in Google’s strategy to curb online addiction, but it hasn’t reached a ton of users as it’s available only on Android 9 Pie. 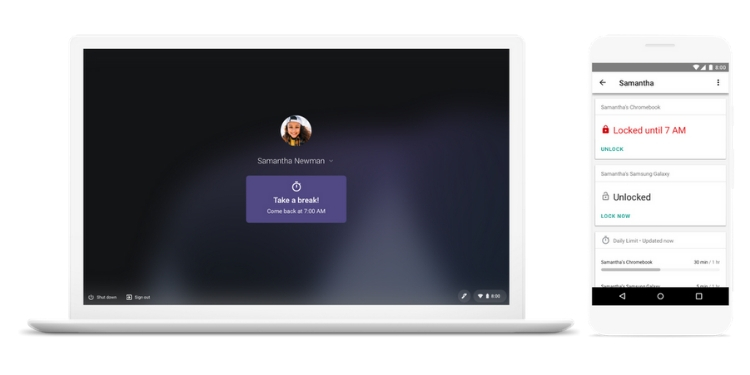 Well, Google is now bringing its time management tools to Chrome OS via the Family Link app to let guardians and parents customize usage time and app download rules. Once you download the Family Link app and connect your smartphone and kid’s Chrome OS-backed laptop or tablet for supervision, you will see that you now have the option to set the screen time and bedtime hours for your child. While the former will give you the option to lock the kid out of the Chromebook once they have depleted the daily usage quota, the latter will allow you to completely disable access to the Chromebook for them. This is similar to turning off access to the laptop during the dinner or prayers. When the time limit is complete, your kid is expected to see a message similar to the one shown above. It will inform them to ‘Take a break!’ and come back at a certain time to access the Chromebook again. 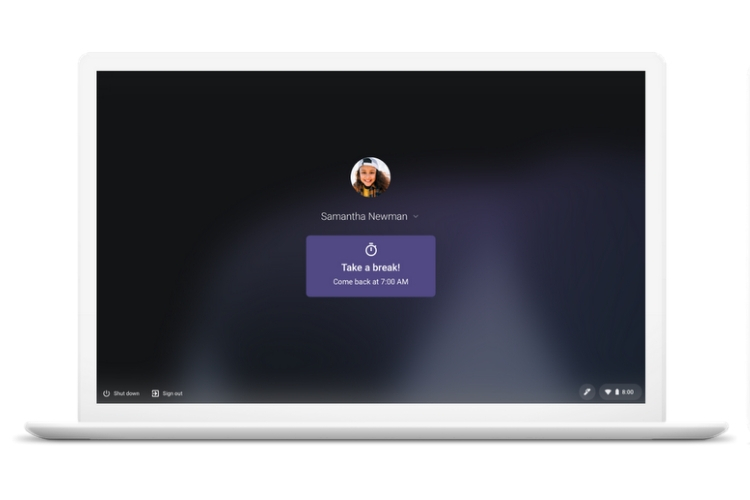 The parents can also unlock the Chromebook remotely at will with the Family Link app, while also keeping an eye on activity reports that show how much time your kid is spending on their favorite apps. Google had already given parents the ability to control the type of content their kids can consume while browsing. It is, however, now also handing down the charge of what apps and games kids can download from the Google Play Store. They can now ‘review and approve’ app requests, hide apps they don’t want kids to see, and manage your in-app purchase options. The new features are currently rolling out to the Family Link app on Android, as well as Chrome OS, so be patient as they’ll find a way to you soon enough.